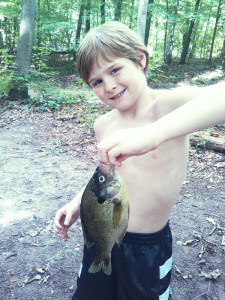 Dylan Winchel, 9, the son of Brock and Kristen Winchel, caught this 10-inch bluegill at his grandma’s house on Lincoln Lake, on Saturday, July 26, 2014. Dylan is a student at Cedar View Elementary. Congratulations, Dylan, you made the Post Catch of the Week!